VACATION TIME - ElderSong Publications, Inc. Pack your bags, it’s vacation time! What’s your idea of the perfect summer getaway? Some say that relaxing in the sun, seeing the sights, and tasting local food are the ingredients for a great trip. Stir up heartwarming memories of family vacations with some of the activities suggested below. Allow plenty of time for a funny story or two. VACATION WORDS: Ask participants to list words associated with vacations. (Examples: binoculars, getaway, airplane, lodging, camera, passport, sightseeing, tickets, tourist, hotel, baggage, waterpark) Play various games with the words: scramble words, word search, rhymes, acrostics, missing letters, vacation words for each letter of the alphabet. Or, play a game of vacation/travel bingo. VACATION MEMORIES: Talk about why people need vacations. Ask if anyone in the group preferred to stay home for a vacation. Encourage participants to share memories of the following: Best vacation, worst, most interesting, costliest, most beautiful, most relaxing, most active, multi-generational vacations. VACATION ACTIVITY: Ask each participant to create a colorful “On Vacation” sign. Hang the signs around the room. Add other typical vacation props: camera, sunglasses, suitcase, walking shoes, guidebook, map, sun hat. Gather the participants for a group photo (suggest that they wear a piece of vacation clothing) and say “Cheese!” Talk about favorite vacation spots. Share photos of family vacations in years past. TRAVELING: Ask group members if they like to travel and to talk about their favorite mode of travel - plane, car, tour bus, train, or cruise ship. Do they prefer: Traveling in their own country or visiting another country? Using tour groups or planning their own trip? Traveling light or with lots of baggage? Traveling in large groups or with family/friends? Staying at a hotel or camping? Returning to an annual spot or visiting a new destination? SONG WRITING: Try the following activity from the session titled “Summer Vacation” in the ElderSong resource Roses in December: Use the song “Let’s Get Away from It All” for lyric writing. Ask participants to name some places they would like to travel to. Then ask them to name a way to get to each of those places. Last, fit these lines into the song. Rhyming is optional. Here is an example: Let’s take a steamship to Vancouver, Let’s motorbike to Peru, Let’s hop the Amtrak and go to the Arctic, Let’s get away from it all. VACATION MEMORIES: Reminisce about vacations or trips in the 1930s/1940s, including auto camping, camp cabins, travel trailers, trailer camps, tourist courts, motor courts/motels. 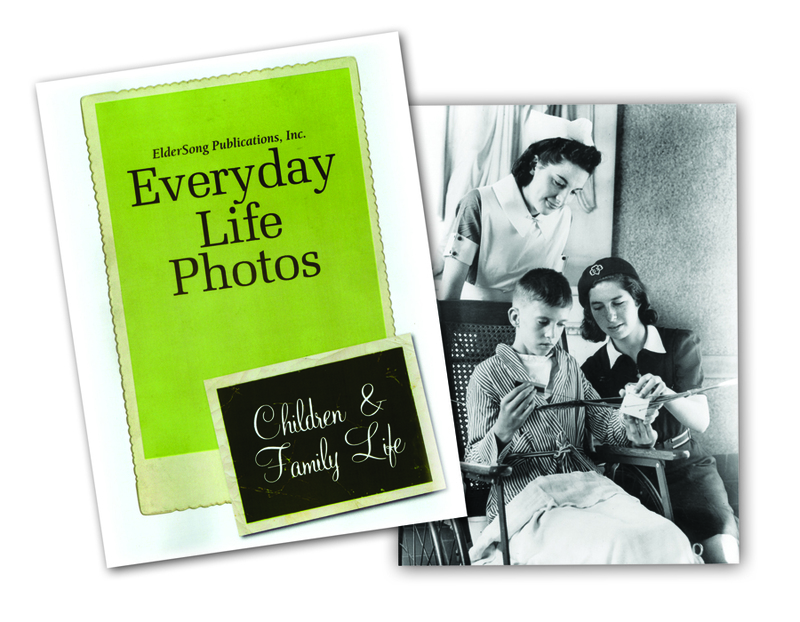 Ask: What is your earliest memory of a family vacation or trip? How did the Depression and World War II affect vacations or travel? PICNICS: Celebrate National Picnic Month. Reminisce about a 1950s-style road trip in the family station wagon and enjoy a simple roadside picnic – bread, cheese, fresh fruit, lemonade – indoors! Or check out the picnic menus in Betty Crocker’s Picture Cookbook, published in the 1950s. Talk about roadside diners and listen to jukebox music. TRAVEL SONGS: Sing or hum the first verse of some songs about places in the U.S.: “California, Here I Come,” “New York, New York,” “My Old Kentucky Home,” “Sweet Home Alabama,” “Deep in the Heart of Texas,” “Oklahoma!” “Tennessee Waltz,” “Gary, Indiana,” “Georgia on My Mind.” Share recollections of states visited and something unique about each one. BON VOYAGE PARTY: Take a “Vacation of the Mind.” Announce that you will be “cruising” to a particular city or country/island. Give a Bon Voyage Party (with champagne or sparkling cider, cruise ship sound effects, ship decorations, travel songs) and “set sail,” planning to “arrive” at your destination on a certain day. On your “arrival” day, plan several special events that will give the participants the flavor of the country – for example, short film about the country, guest speaker to talk about the place, a meal of typical food from the country, or a group that will perform native dances or music or model native costumes. (Example: Hawaiian luau or German Oktoberfest) Activity adapted from the ElderSong resource Down Memory Lane. VOLUNTEERING: Talk about the benefits of taking a “volunteer” vacation. (Example: Helping park rangers in state/national parks) Ask participants how they can make a difference on vacation. More ideas for vacation time can be found in the resources featured below. “Beach Vacation” photograph (taken January 1941, Sarasota, Florida) Questions to Ask: Where did you like to go for family vacations? Do you prefer the beach or the mountains? Which beach do you like to visit? How long has it been since you’ve gone there? Did your family visit there when you were young? Name some good family activities while at the beach. Describe a swimsuit you remember wearing when younger. Did you wear a swim cap? Get in the mood for a little “R & R” and travel fun with a trivia quiz or two. 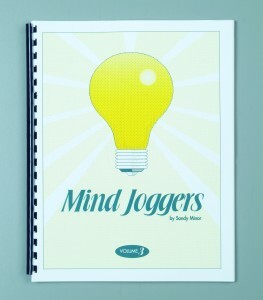 The book Mind Joggers, Volume 3, features quizzes titled “Mountains” and “Toonerville Trolley” that can be used for small-group interaction. Here are some sample questions: What is the highest mountain in the world? Which state has the nickname “The Mountain State”? What is mountain dew? What was a Pullman berth? What is a Lionel train? A last railroad car on a train was called what? The resource has 50 inventive quiz topics, including Anchors Aweigh, Bread, Eye-to-Eye Trivia, Hot Dog! Name the User, Play Ball, Rings, Say “Cheese,” Slang, Strange Animals, Umps, Whistles, Ye Olde House, and more! A long car trip calls for games to occupy the time. 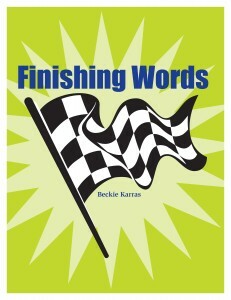 Use the word game book, Finishing Words, a companion to ElderSong’s best-selling book Finishing Lines. 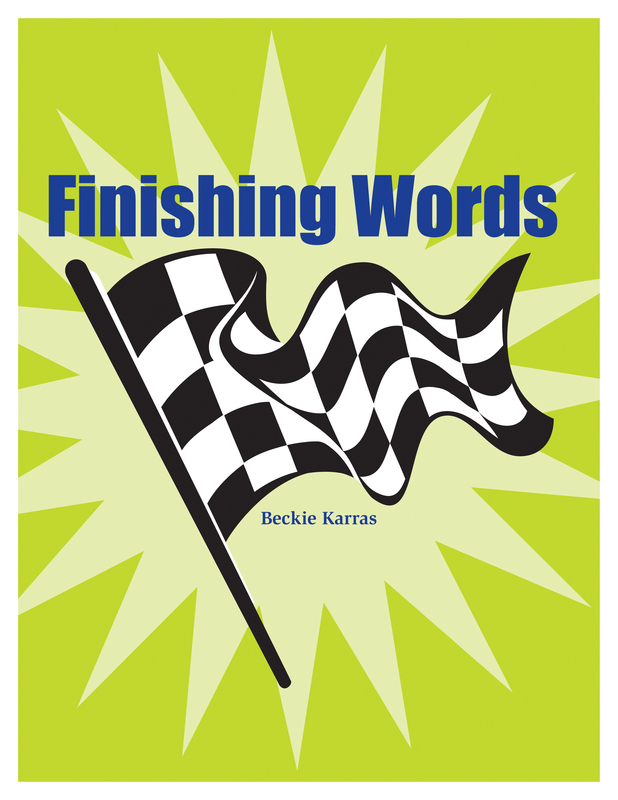 Challenge your armchair travelers to complete words instead of sentences, with 1500 words in 45 categories. You’ll find helpful tips in the introduction for using the book with your group. Here’s a sample of the categories: AIR, BACK, CAP, DOG, EAR, FOOT, GO, HEAD, ICE, IMP, LINE, MAR, OFF, PAL, PER, POT, RED, TAN, UNDER, WIN. "Vacation Time" written by Sue Hansen. Copyright 2014 ElderSong Publications, Inc. All rights reserved.